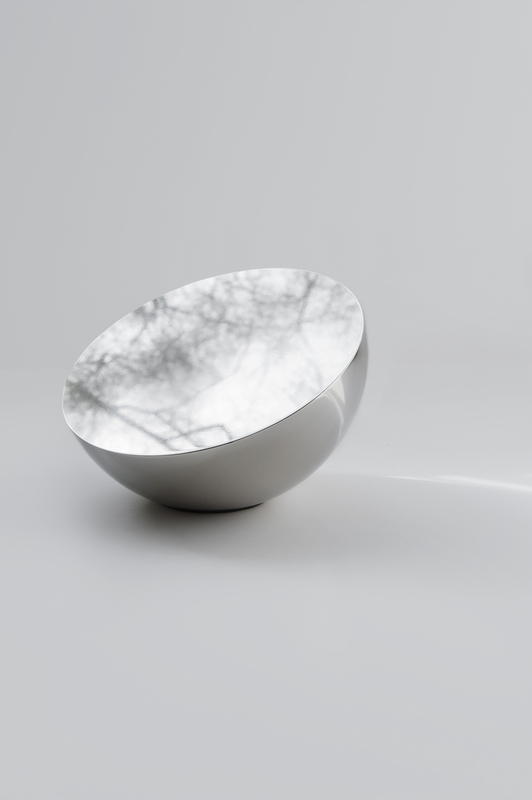 Aura Mirror by Bjørn van den Berg will be presented in New Works' collection at Stockholm Furniture & Light Fair. 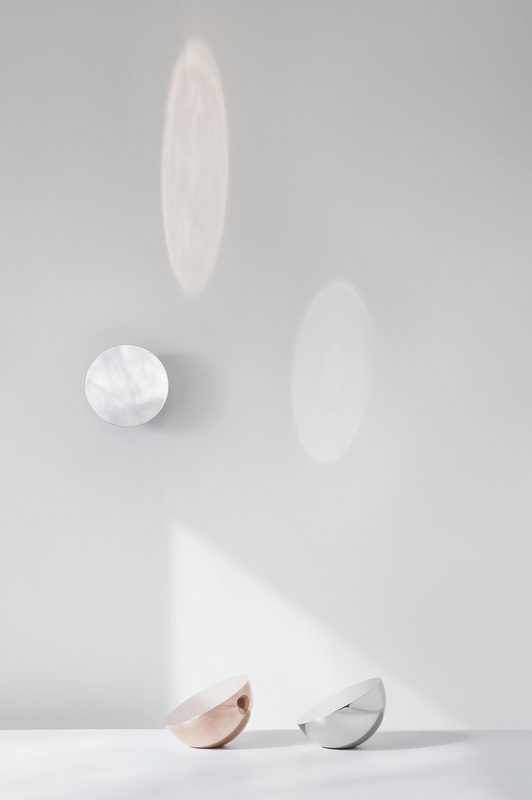 Aura mirror series are developed out of a metaphor of a glowing object. The seamless hemispherical shaped mirrors are converted into a whole reflecting object rather than just a surface. 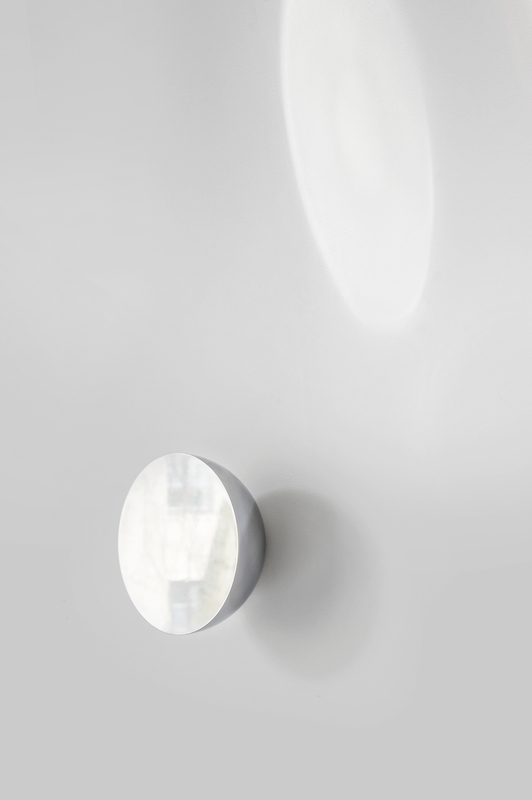 The mirror appeals to tactility and sensibility. Aura´s format relates to fit into two open hands. The polished surface contrasts to your natural skin and the way the heavy material is pressed into your hands. Other aspects of sensibility Aura touches is when the object is exposed to light. Then the light is reflected differently from the flat mirror surface and the circular body; making you aware of your surrounding and light changes. The thought is to create physical and mental recognition in the moment. Bjørn designs everyday objects with a drive to extend the objects’ lifespan by creating attachments and making people aware of the presence. By appealing to feelings his objects are given values such as memory, sensibility and tactility. Bjørn’s work have been exhibited in Oslo, Milan, Stockholm, Tokyo and London.